In our last blog, we talked about how you can surprise your loved one with the gift of dance lessons for the upcoming holiday season. Dance classes are something that everyone at every age can enjoy. They make an exceptional present, and one that will surely be remembered. But why exactly should you give the gift of dance? K2 Dance Studios is here to explain all. Stay tuned for reasons why you should give dance or yoga classes as presents this year. Whether for your aspiring ballerina, your energetic teen, your spouse who needs some TLC, or anyone else on your nice list, the dance classes we offer will make amazing gifts. Learn more from our dance studio, and sign up your loved one today! Dance and yoga are both great activities for many reasons, particularly because they help us stay healthy. Our bodies need exercise and fitness as part of a healthy lifestyle. However, exercise can be challenging for people to keep up on, especially if they don’t like it. Working out is exactly as it sounds — it’s work. But when you enjoy the exercises you’re doing, it won’t seem like a chore. Especially for younger kids, it’s important to build healthy habits in from an early age. If you find a sport or an activity that they love, they’re more likely to continue doing it as they grow older. It’s easier to continue working on your fitness than to start from the ground up — and this becomes even truer as we age. Start your child out with a fun and exciting fitness activity that they’ll enjoy — sign them up for dance classes! One of the greatest joys of parenting comes from watching your child grow in their love for something. Whether it’s drawing, football, or tap dancing, there’s no better feeling than watching them become intrinsically motivated to practice something and to improve. Dance is such an easy thing for people to love — it’s practically inherent to our human nature. Nearly everyone does it because it feels good, and the ones who don’t are nearly always afraid of embarrassing themselves (to which we say, that’s impossible!). Having things you’re passionate about isn’t just something that makes you feel inspired, it’s also healthy for you. Happiness, creativity, and passion are all linked to your mental and physical health. Signing your child up for dance classes can help them build that passion! As we mentioned, dance as a form of fitness is a great practice to have. But there are plenty of other benefits to taking dance classes as well. It can be a form of catharsis and mental calming for so many of us, serving as an excellent coping mechanism during stressful times. It’s also a way to get cardio exercise in, which improves heart health, and it also builds muscle strength and coordination. Plus, dance is unique in the fact that all you really need is yourself! Though we’d argue having a dance instructor, music, and choreography provides structure (and even added measures of safety, and it’s more fun, too! Did you know that dance can actually make a difference in your memory? It makes sense when you think about it — you have to memorize a unique and fast-paced set of movements in order to do well. Dance also helps with rhythm and tempo, two things that are great for both your body and your brain. Do you remember what you got for Christmas as a 10-year-old? Even if you do, do you still use it now? Chances are you don’t — unless you, too, were given an opportunity to try a new activity. Gifts are usually just additional stuff that people don’t need, but experiences are things that last a lifetime. 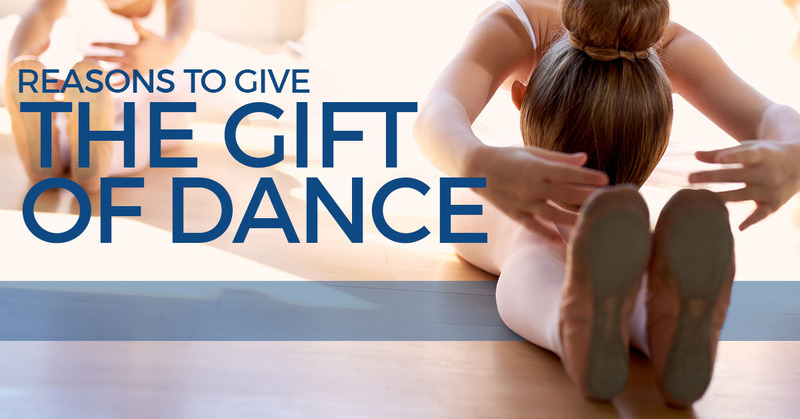 Your loved ones will truly be grateful for dance classes as a gift — not only on the day they receive the present, but for the rest of their life. When you’re ready to sign your loved one up for dance classes, K2 Dance Studios in Corona is the place to make that happen! We have incredible options for dancers of all ages and abilities, and also feature yoga classes. Additionally, you can sign up your loved one for classes with us, then print out this handy PDF so you have a gift certificate ready to go for their present! Just make sure you sign them up for classes first, or take them to sign up for classes later — this PDF cannot be purchased online or act as an actual gift certificate. We look forward to seeing you at our Corona dance studio! Thanks for choosing K2 Dance Studios, and happy holidays!